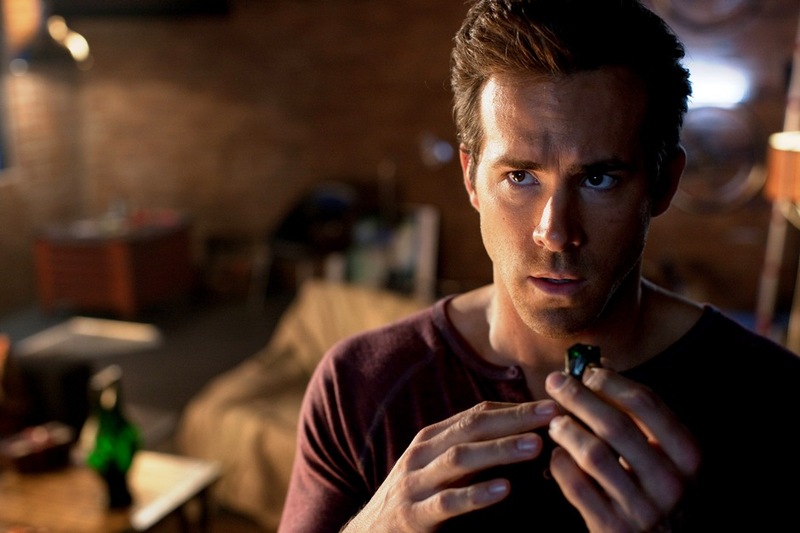 In the first entry in my "Flipping the Flop" series, I try to brighten Ryan Reynolds' day by showing how Green Lantern wasn't the blackest night it's often described to be. This series of blog posts, Flipping the Flop, will address the hysteria around newly released movies that causes some films to be unfairly characterized as artistic atrocities. Inspired by Mario Lanza's 200 Movies That Deserve More Love, I'll look at the Myths, Mistakes, and Might of newer movies in order to prove that they're nowhere near the flops they're supposed to be. Hopefully a few of you will see my point. Most of you will probably just think I'm flipping you off. 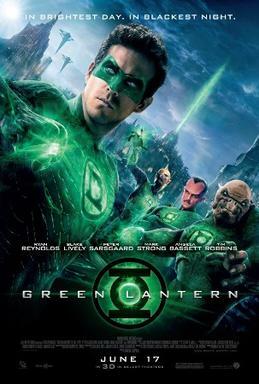 Released in the summer of 2011 during the latter stages of the first “phase” of Marvel’s cinematic universe, Green Lantern was DC Comic’s first attempt to release a mainstream live-action movie based on one of their major characters outside of the Batman and Superman mythologies. It starred Ryan Reynolds as Hal Jordan, the man chosen to be Green Lantern, Blake Lively as Carol Ferris, Hal’s love interest and employer, and Peter Sarsgaard as Hector Hammond, a scientist and childhood friend of Carol and Hal who believes in the existence of aliens. Greg Berlanti, the creator and showrunner of multiple TV series such as Everwood, Arrow, and The Flash, co-wrote the script with Michael Green, Marc Guggenheim, and Michael Goldenberg. Director Martin Campbell, who is best known for his contributions to the James Bond film series–Casino Royale and GoldenEye–shot the movie on a budget of $200 million. It grossed $219 million worldwide ($116 million in the United States) and earned scores of 5.7/10 on IMBD and 26% from critics and 46% from the audience on Rotten Tomatoes. 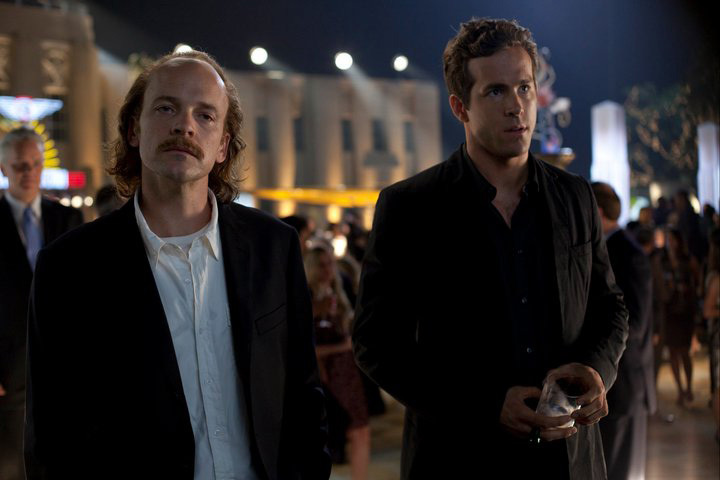 Largely regarded as the superhero version of Van Wilder (arguably Reynolds’ definitive role at this point in his career), critics described the movie as an unintelligible mess. Christopher Orr of The Atlantic listed “the manifold shortcomings of Green Lantern: a woefully underdeveloped script; dubious casting; slack, aimless direction by Martin Campbell; and a set of decidedly uneven performances.” “It’s muddled, overwrought and noisy,” wrote Claudia Puig of USA Today. Most pointed of all, Wesley Morris of Boston.com quipped, “Green, we’re told at some point in ‘Green Lantern,’ is the color of will. Based on the movie surrounding that line, it’s also the color of won’t. Won’t make sense. Won’t satisfy a soul. Possibly won’t make a dime.” Based on these assessments, it’s a wonder I even took the time to watch the movie three years after its release, let alone sat down to write this review. The last three years haven’t been kind to Reynold’s career either. Hal Jordan seemed like the role that would finally transition him from quirky, likable, small-movie lead guy to mainstream fixture. The blackest night that Green Lantern was met with has seemingly kaboshed that hope. Since 2011, the only movie of note that Reynolds has been a part of is The Croods, a 2013 Dreamworks Animation feature about a caveman family that must adapt to the coming world that is embodied by Guy, the character Reynolds voices. From both a thematic and an entertainment standpoint, it’s a wondrous experience, but animation just doesn’t launch (or, in this case, redeem) careers. Because of the unnecessarily negative hoopla around Green Lantern, it seems as if Reynolds ceiling has been unfortunately defined. There’s way too much going on in Green Lantern. On Breitbart’s Big Hollywood subpage, John P. Hanlon observes, “It often feels like there are two separate stories.” He’s almost right. There’s no feeling of there being two stories. There are two stories. Hal Jordan grows into a man that can wield a superhero’s power properly. Hal Jordan discovers he is part of a galactic police force called The Green Lantern Corps. The device that is supposed to bridge the gap between these two stories is the villain Parallax, but its inclusion instead creates an unnecessary friction between the two plots which renders the more interesting, and narratively necessary, plot ineffective…and adds a whole lot of exposition (including the dreaded telling-not-showing opening narration). Parallax is the Green Lantern Corps greatest enemy, their accidental creation that uses fear to destroy people’s will so it can devour their planets. As it approaches the planet-base of the Corps, Jordan is coincidentally selected by a power-ring on Earth to harness his will power to fight evil, and Hammond is infected with Parallax’s power to control fear while performing an autopsy on an alien body. From these brief descriptions, it’s easy to tell which story is more compelling from a multitude of viewpoints: plot, character, and theme. However, the universe-gobbling Parallax relegates the Jordan/Hammond conflict and battle on Earth to a subplot as it’s pretty hard to care about puny human problems when all of existence is at stake (including the planet-base that is the source of the power Jordan is figuring out how to handle). Since I’m writing about the first Green Lantern, the solution seems pretty obvious. Focus on the origin story while hinting at the coming confrontation with Parallax. With this approach, Hammond’s rise as the first supervillain Jordan must defeat would setup Parallax as the second. Jordan would grow across to movies, first becoming Earth’s Lantern then becoming the greatest Lantern of all-time. The movie does use this concept. It just turns Hammond into a steppingstone to Parallex in a single story, which makes Jordan’s journey to greatness seem both simple and trivial. Ultimately, Green Lantern is about the will to live. It presents the most basic choice we all face–movement vs. stillness–in a new way, will vs. fear. Essentially, if you aren’t attempting to will into existence what you see in your mind (believe it or not, manifestation of thought is the power the ring’s wearer receives), then you’re allowing yourself to be controlled by fear (of death). These diametrically opposed approaches are personified in Jordan and Hammond. The irony is, though Hammond starts the story as the man of mind, a scientist in search of the truth about the existence of aliens, and Jordan as the man who worships his worst whim (fear), their roles reserve to the point that Jordan’s creativity ultimately bests Hammond’s destruction. Hal Jordan: Anything I see in my mind, I can create. I’ve just got to focus. 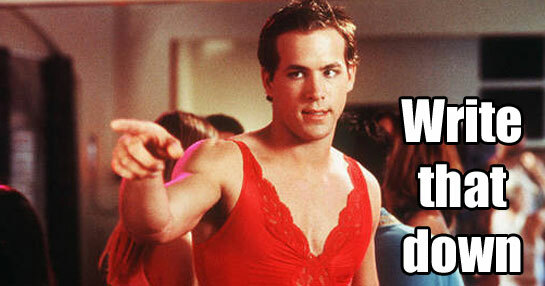 Jordan’s journey is one of maturation, and that growth is where the confusion with Van Wilder comes in. Reynolds was the perfect choice for both characters because they deflect insecurity with wit. However, there is a major distinction between the two. While Wilder spends his days partying to avoid himself, Jordan is good at something and proud of it–piloting jets. What holds him back is the fear of death instilled in him when he was a young boy and witnessed his pilot father’s death in a horrific crash. Being chosen by the ring only exacerbates this fear, causing a mental block due to which he creates unimaginative constructs. “That’s the best you could come up with for your first big appearance, a racetrack?” his best friend asks him. It is, and that lack of creativity is why he’s unable to save Senator Robert Hammond from his son. Hector Hammond: You’re just as much of a failure as I am, and just as afraid… Well, I used to fight my fears. But now that I’ve tasted its true power, I’ll NEVER GO BACK! While Jordan’s fear merely undermines his sense of self, Hammond’s fear destroys his–especially when he is forced to compare himself to Jordan as he has his entire life. When he’s called by the government to conduct an autopsy on the corpse of the first alien ever discovered, Hammond thinks all of his hard work has finally paid off. It isn’t until he later talks to his Senator father that he finds out he didn’t receive that phone call due to his own ability but his father’s influence. With the powers he gained from cutting his finger during the autopsy, he reads his father’s mind during that conversation and hears his father cursing him as a failure. Perhaps worse than the shoddiness of the film, though, is its sour narrative undercurrent. This is at first evident only obliquely, in the aggressive duality of “will” and “fear,” and implicit assumption that other motivations (love? introspection?) are, at best, secondary. But it becomes decidedly more apparent in the interplay of the Reynolds’s and Sarsgaard’s characters, who are like high-school stereotypes inflated to Nietzschean proportions. Hal Jordan, the buff, beautiful, promiscuous flyboy who disappoints everyone around him—especially Carol, the putative love of his life—receives his comeuppance in the form of a) unimaginable powers; b) a profoundly unearned role as hero; and c) a skintight costume that presents his anatomical advantages in even starker relief. Sarsgaard’s Hector, by contrast—a scientist and teacher—is from the outset made as homely as the cosmetic arts can manage: a crummy little moustache, a disastrous hairline that retreats into greasily mutinous Orphan Annie ringlets. Ignored by women and bullied by his successful dad, he’s nonetheless presented as a perfectly decent guy prior to his alien infection. Alas, physiognomy is destiny, and just as Hal is fated to become an intergalactic Adonis, it’s Hector’s lot to evolve into a psychic ogre, at once vicious, pitiful, and doomed. By selecting a theme and focusing on, the movie alienates Orr. Even further, it’s selection of hero and villain anger him. Rather than seeing the divergent post-power appearances of Jordan and Hammond as visual concretizations of the consequences of their decisions, Orr views them as some sort of social injustice. The same could even be argued for their pre-powers appearances. It’s true that Jordan has dealt with fear his whole life, but he is extremely good at flying and proud of it. In contrast, Hammond lives an almost recluse-like existence because he is so afraid of asserting himself. Yet somehow, in Orr’s view, Jordan is deserving of “comeuppance” (which ignores the fact that the “putative” love of his life wants nothing to do with him and is his boss on the cusp of firing him) and is placed in “a profoundly unearned role as hero.” His third critique of the main character is even more revealing. Orr describes Jordan’s Lantern uniform as “a skintight costume that presents his anatomical advantages in even starker relief.” It most certainly does because, yes, Mr. Orr, there is a style of art called Romanticism and it’s especially suited to a story about superheroes and villains. The most marvelous element of this movie might be Campbell’s embracing of that style. Every frame seems to be designed with the utmost intentionality. Green and yellow dominate over the other colors, visually demonstrating their importance in this world. The performances pulled out of the actors are pitch perfect for their purposes. At one point I even found myself bemusedly stating, “Blake Lively can act.” Green Lantern is a movie that knows it’s a movie and doesn’t apologize for demonstrating that it possesses that knowledge. Green Lantern: Evening, ma’am. Didn’t have chance to say goodbye. Are you okay? Carol Ferris: Uh, yeah, no, I’m glad I have a chance to thank you. Green Lantern: Just doing my job. No thanks necessary, miss. Carol Ferris: No, it is. You saved my life. You saved all of our lives. That was a very… Hal? Carol Ferris: Hal? Oh, my G…! Oh, my God! Oh, my God! Hal! Green Lantern: How did you know it was me? Carol Ferris: What do you mean? I’ve known you my whole life! I’ve seen you naked! You don’t think I would recognize you because I can’t see your cheekbones? What is this? Why is your skin green? Why are you glowing? What the hell is with that mask? Green Lantern: It came with the outfit. Cool, huh? Despite any protests of it being a blackest night, Green Lantern is unafraid to be cool as it celebrates the transformation of Hal Jordan into a superhero. Don’t let it escape your sight.